Happy New Year every one! I hope you all had a lovely New Year’s Eve and celebrated in style! I’m a little behind on the whole beauty Favourites scene (I had planned to post this last week but the festivities got in the way!) so let’s get straight in to things. 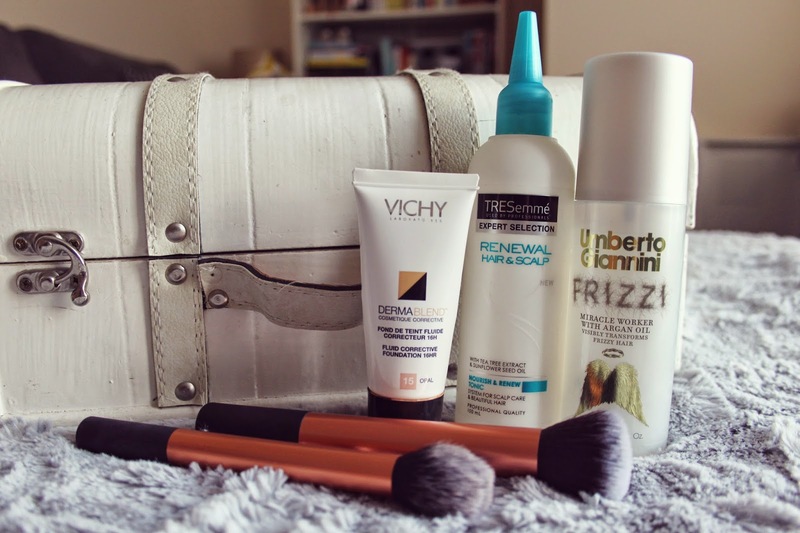 I’ve discovered some great products over the past month that have firmly found their place in my hair and beauty regime, mostly thanks to my Glossybox subscription. Without further a do, here’s my top products of the month! Mac Lip Patent Polish in ‘Go Girlie’* – This is something I spotted in the cosmetics shop on a recent trip to Cheshire Oaks. I’d never actually heard of these until then but I loved the colour as soon as I saw it. I can’t actually find these on the Mac website so I’m not sure if they are discontinued, but they’re a beautiful mixture between a gloss and lipstick and I’d recommend giving them a whirl if you can get your hands on one! Mac Lipstick in Russian Red – It wouldn’t be December without a festive red lip, and I’ve been reaching for Russian Red the most the past month. I love this one as it’s a matte finish and doesn’t budge, even after eating. BellaPierre Cosmetics Cheek & Lip Stain in Coral – A new discovery thanks to Glossybox from a brand that I’m beginning to love. I use this on the cheeks with a stippling brush for a nice natural flush of colour. 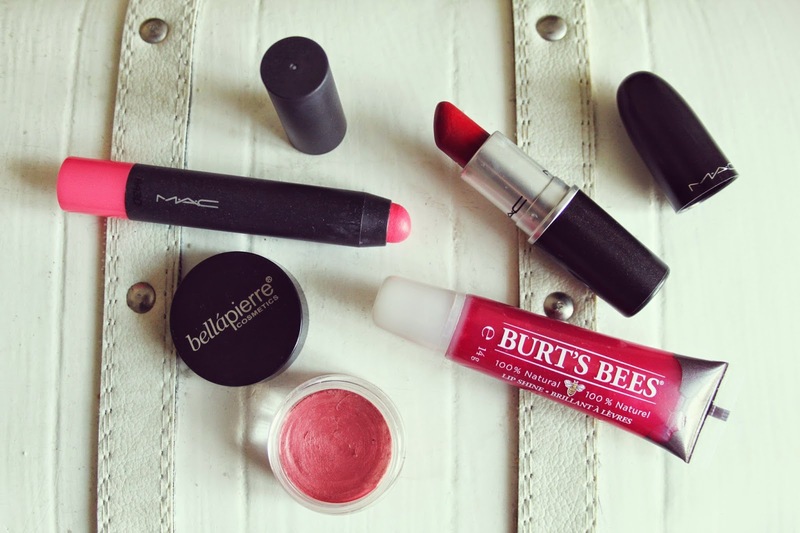 Burt’s Bees Lip Shine in ‘Pucker’ – I’ve been suffering from really dry lips in the cold weather, and this has been great for keeping them moisturised with a splash of colour and zero stickiness! Vichy Dermablend Fluid Corrective Foundation in ‘Opal’ – My absolute favourite foundation that I always go back to. I’ve probably mentioned this far too many times in blog posts, but I could rave about this until I’m blue in the face. This has been cleverly disguising my problematic skin and pesky break outs. TRESemme Renewal Hair and Scalp Nourish and Renew Tonic – Another Glossybox discovery is this Hair and Scalp Tonic. This feels amazing on the scalp and gives a nice refreshing boost on wet hair before styling, helping keep everything looking healthy. Umberto Giannini Frizzi Miracle Worker – Yet another from Glossybox and another good’un that’s been helping my hair. I run a few pumps of this through the ends of my hair, particularly where it’s been bleached, before drying to make sure frizz is kept at bay. Real Techniques Buffing Brush & Contour Brush (Core Collection) – These are my most used and over all most favourite brushes of the year, let alone the month (and I’ve only had them for around six weeks!). I picked up the Core Collection recently and have been using these two from the range ever since. I use the buffing brush for light foundation application, and the contour brush for powder or cream blush. I love that Real Techniques brushes are so versatile. I don’t think I use any of mine for what they are actually intended for!! 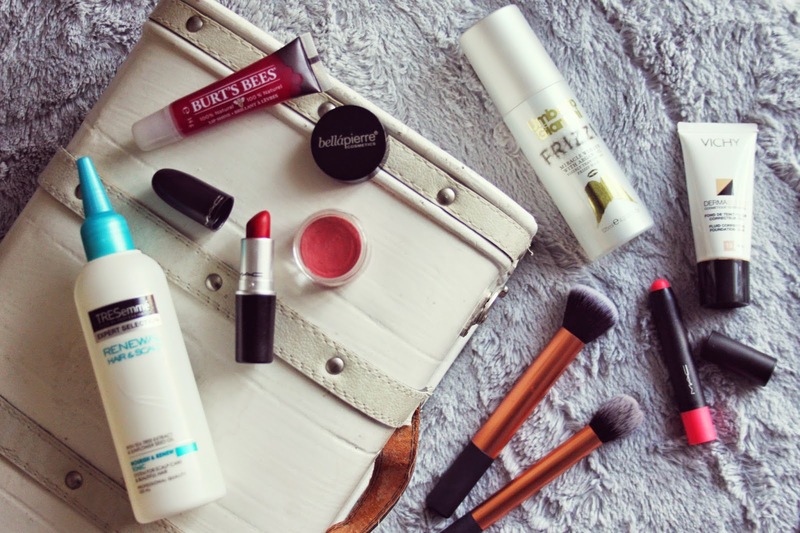 So that’s the final round of 2014 favourites done, and what a good year for beauty it’s been! I’ve discovered so many new products that have worked wonders for me, and rekindled my love with some old favourites too! I’d love to hear what your December Favourites were, or even your 2014 favourites, so don’t forget to leave your links below! "LUSH: THE ART OF BATHING"